Aidan has been a great influence on me. I first met him about 30 years ago, when I was trying to learn to paint in egg tempera from tubes. In a casual conversation with a friend in London, I was describing my difficulties with the medium. He said to me that he knew someone who used that medium and gave me the address of a priest called Fr Athanasius Ledwich. At this point, I wasn’t even Christian, although I was starting to search for a better way of life, so there was no mention of icons or sacred art, and I wasn’t even thinking along these lines. Encouraged by my friend, I wrote to Fr Athanasius asking for help in painting technique. I wondered if I could visit him, even if it was just to stand to look over his shoulder for an afternoon so that I could watch him using the medium. A week later I had a letter from Brother Aidan Hart. 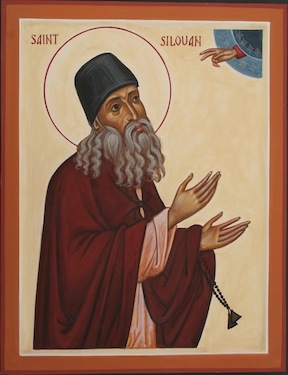 As it turned out, Fr Ledwich had never painted an icon in his life and passed the letter on to someone who had (my friend was, in fact, a casual acquaintance who barely knew Fr Athanasius). In his letter, Br Aidan invited me to stay with him for a weekend. I telephoned him, and we arranged that he would pick me up at Birmingham New Street station forecourt. “How will I know you?” I asked him. Just to show how little I knew of this world, I remember standing at the gate to platform 7, the appointed meeting point and looking around. Then in the distance, I saw this tall man walking towards me, with a long beard, black robes and a cylindrical hat. Nevertheless, I instantly connected with him and liked him. He was so generous in teaching me all that I could possibly learn that weekend. It was also my introduction to icons and the Eastern Rite. He was a Rassaphore monk at that point - he talks about this phase of his life in the video. I remember him telling me much later that when he was a hermit, surprisingly, his life was much busier than later on when he was a working artist with a family. People used to flock to see him, even though he was in an isolated spot in rural Shropshire. I think he told me that in the last year he was living in the hermitage, 3,000 people visited. In the video, Aidan also talks of his connection with Ian Knowles, the directory of the Bethlehem Icon Centre. I met Ian - I’m thinking perhaps 15 years ago now- at an icon painting workshop run by Aidan in Shropshire. It was obvious then that he was a talented artist. 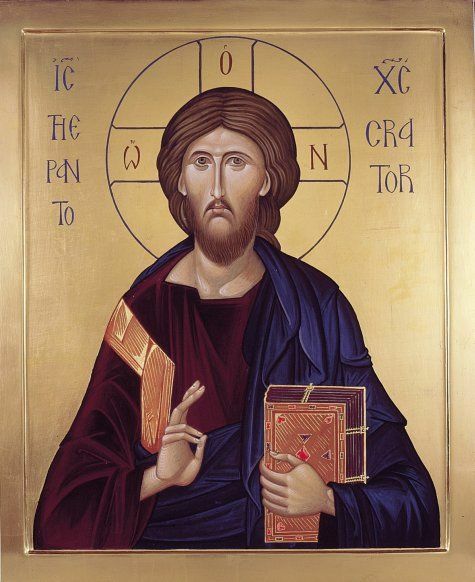 One of the great advantages of learning to paint with Aidan, I always thought, is that he always explained not only what to do, but why we do it, and how through his own analysis of traditional icons he had worked out what to do. Aidan was self-taught and so he always generously taught us his approach to this. This meant that we came out of his classes able to propel ourselves, to some degree at least, without constant supervision. It was these methods that became the starting point for my effort at articulating some general principles for Christian art education, which I described later in my book, the Way of Beauty and built into a course called A Study of Artistic Method for Patrons and Artists, which is a 3-credit elective in Pontifex University’s Master of Sacred Arts program. Aidan describes these methods in his excellent book The Techniques of Icon and Wall Painting.